The jntuh B.Tech 3-2 2nd mid examinations are going to be held from 20.04.2015. So, here are the previous examinations bits for these examinations. 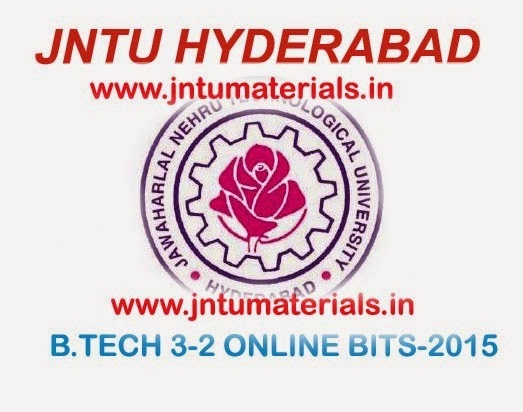 Here you can find all the Branches online bits for jntuh B.Tech 3-2 2nd mid examinations. All subjects are arranged day wise and then alphabet order. So, it is easy to download it. If you like our content please follows on Facebook and share the content with your friends. Click on the subject name to download.